On 7th September 2013, Sekolah Menegah Kebangsaan Bandar Utama Damansara (3) had their gotong-royong [communal cleaning] day. All of us had to work together to clean up the school to have a better environment. At 7:30 am, we all gathered at the tapak perhimpunan sitting according to our classes. After that, the teachers marked our attendance and at about 7:45 am, we got started to clean our beloved school! The students would clean their own classes, whereas the prefects, librarians, peer facilitators and the school cooperative members were divided into groups to clean up the field, multipurpose hall, the bus stop, the co-curriculum arena and some other places around the school. Students worked hard everywhere, carrying pails of water, sweeping the floor, picking up rubbish. Cleaning the school was not an easy job! At 9:00 am, most of us had finish our jobs and we proceeded to the canteen for breakfast. The school provided a delicious meal: it was nasi lemak and bottles of mineral water for everyone. Everyone was starving and ate like hungry wolves. The school was sparkling clean after the gotong-royong, there was no trace of dirt left. 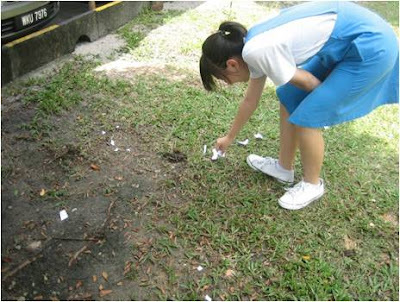 During this event, we have learnt to keep the school clean and do not litter around. The school is our second home, it is our responsibility to keep it clean and not to make it dirty. Who would like to study in such a dirty and uncomfortable environment? 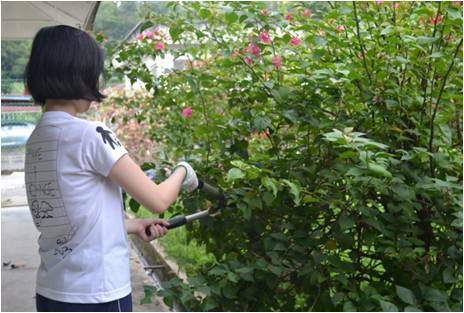 Keeping the school clean will also help us to feel more comfortable while we are in school. This is a yearly event and it is very important that we have a clean environment; so let’s work together to keep our school clean!